It is well known that sepsis and inflammation reduce male fertility. Within the testis, toll-like receptor 3 (TLR3) is constitutively expressed and recognizes double-stranded RNA (dsRNA) from viruses, degraded bacteria, damaged tissues and necrotic cells. 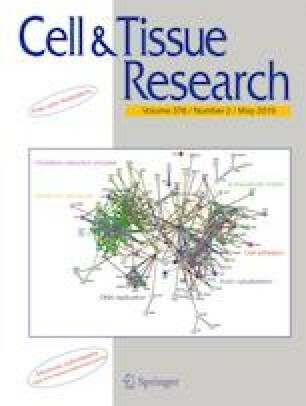 To characterize the potential role of TLR3 in response to testicular infections, its expression and downstream signaling were investigated upon challenge with lipopolysaccharides (LPS) in two mouse strains that differ in their immuno-competence regarding T cell-regulated immunity. Thereto, Balb/c and Foxn1nu mice were randomized into six interventional groups treated with either i.v. application of saline or LPS followed by 20 min, 5 h 30 min and 18 h of observation and two sham-treated control groups. LPS administration induced a significant stress response; the amplification was manifested for TLR3 and interleukin 6 (IL6) mRNA in the impaired testis 5 h 30 min after LPS injection. 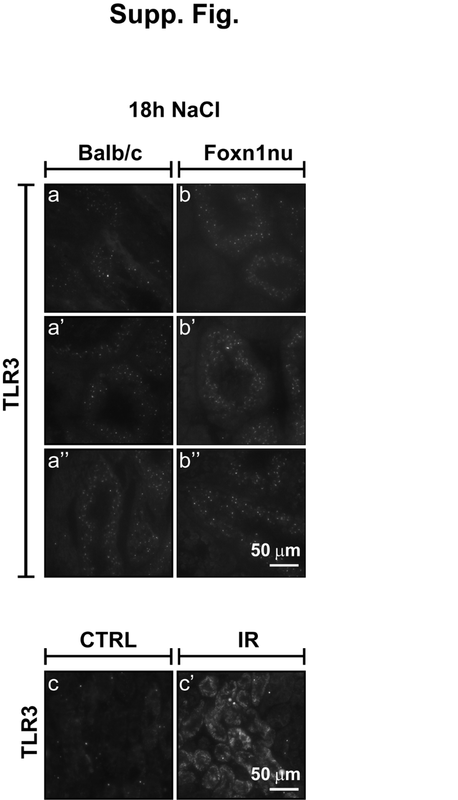 TLR3 immunostaining revealed that TLR3 was primarily localized in spermatocytes. The TLR3 expression displayed different temporal dynamics between both mouse strains. However, immunofluorescence staining indicated only punctual interferon regulatory factor 3 (IRF3) expression upon LPS treatment along with minor alterations in interferon β (IFNβ) mRNA expression. Induction of acute inflammation was closely followed by a significant shift of the Bax/Bcl2 ratio to pro-apoptotic signaling accompanied by augmented TUNEL-positive cells 18 h after LPS injection with again differing patterns in both mouse strains. In conclusion, this study shows the involvement of TLR3 in response to LPS-induced testicular inflammation in immuno-competent and -incompetent mice, yet lacking transmission into its signaling pathway. The online version of this article ( https://doi.org/10.1007/s00441-019-03022-w) contains supplementary material, which is available to authorized users. We especially thank Ecatarina Oplesch, Michael Dreher and Hanne Sidelmann for their technical support. This study was funded by a junior researchers grant by the Goethe University Frankfurt (Fokus Programme, Förderlinie A) to AU. All procedures involving animals were approved by the Animal Care and Use Committee of the state of Hesse in Germany (V54-19 c 20/15-FK/1037). Surgery and animal care was performed in accordance with the “Guide for the care and use of laboratory animals” (National Institutes of Health, volume 25, no. 28, revised 1996), EU Directive 86/609 EEC and German Protection of Animals Act.